Some causes of emotional distress frankly have no simple remedy—or can't be changed at all. But all of us have short-term crises of one kind or another. What we do about them and how we do it can have a profound effect on our ability to get through them. 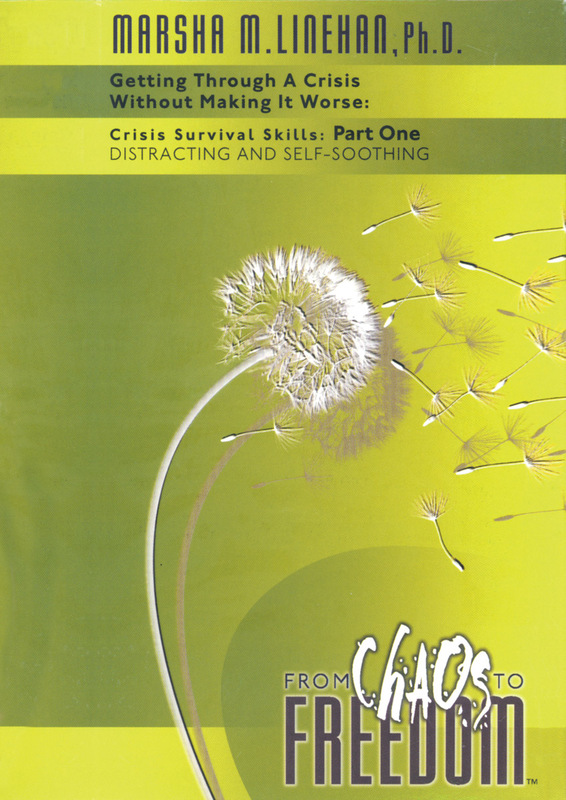 This program teaches clients seven ways to distract themselves from painful events and emotions and offers invaluable tips for comforting themselves in times of stress. 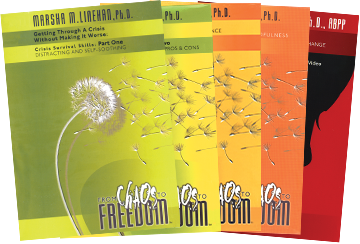 See also Linehan's related videos—Crisis Survival Skills: Part Two, From Suffering to Freedom, This One Moment, and Opposite Action—plusDBT® Skills Training Manual, Second Edition, and DBT® Skills Training Handouts and Worksheets, Second Edition, which providedetailed guidance and reproducible materials for conducting DBT skills training.